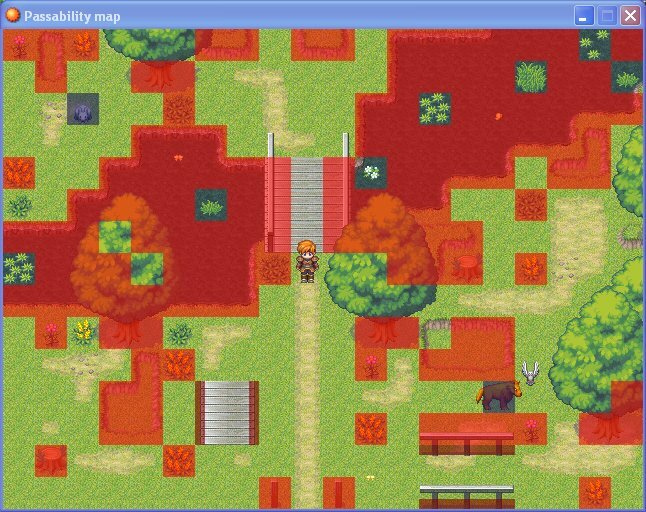 Quote: This script show you what tiles in your map are passable or not. A picture is worth a thousand words, right ? Better, the installation is super easy : you copy it above main if you want to activate it, and delete it when you're done. And compatibility should be very high, as I modify next to nothing.